Her collection ranges across the full span of the alphabet along with a few miscellaneous shapes like ampersands and arrows. 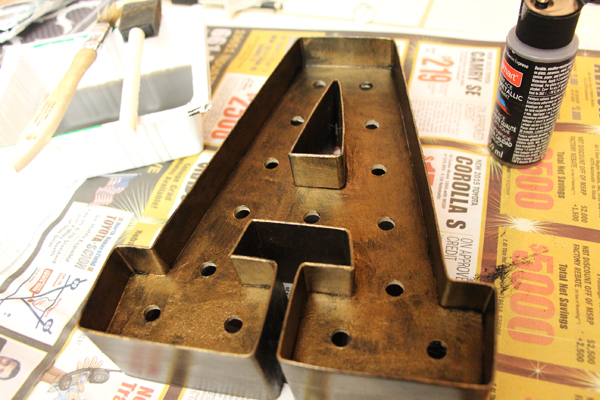 Each kit costs only $12.99, a steal compared to real metal marquee lights that easily run $100 or higher. 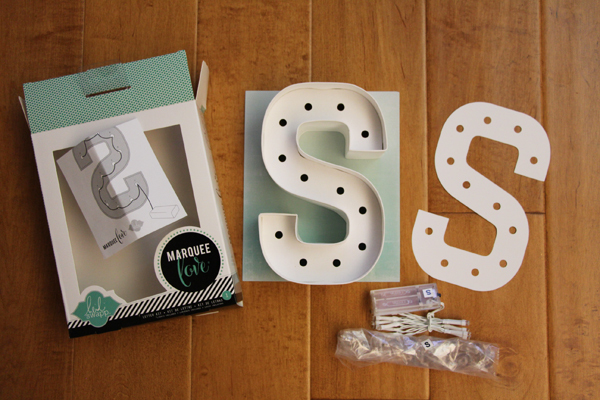 The kit contains the essentials: the letter/shape frame itself, which is a blank white paper material, a stencil, lights specifically for that letter (some have fewer/more lights than others), and the light bulb casings that you pop on in the end. With the AAA powered LED lights, unsightly wires are not a concern. 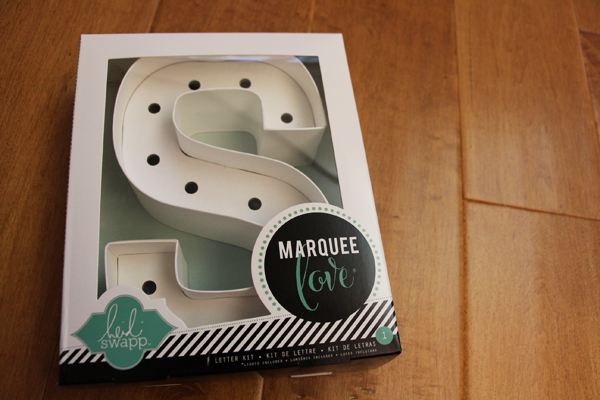 You can customize the letter in almost any way you want – with paint, glitter paper, real glitter & glue, washi tape, or just leave it white if that works with your decor. As you can see, I had quite a bit of time on my hands. 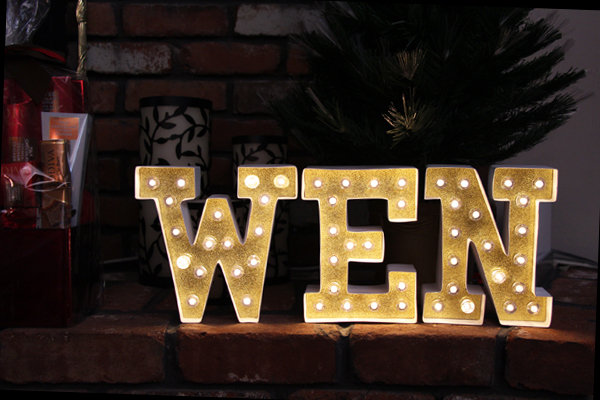 Five out of five stars for ease of set-up and customization – a fun project for a rainy or snowy winter afternoon!